What's in the Hebrew ebook? Live-Hebrew.net is an online Hebrew ulpan that allows you to work on your Hebrew from the convenience of your home with the best Hebrew tutors even if you are not in Israel. 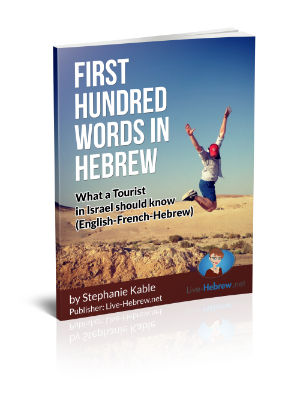 As part of this service, we are providing you with free Hebrew resources like this ebook to learn your first 100 words in Hebrew. Loves languages, true believer that technology should help bringing people together. Her skills and expertise will make your learning experience very enjoyable! A knowledgable and patient teacher devoted to your success. If you want to focus on biblical topics, this is the teacher!